"This has been a very disappointing quarter for us," Executive Vice Chairman and CEO Stefano Pessina said after noting in a statement that it was the company's most challenging quarter since it formed more than four years ago. The nation's largest drugstore chain said it now expects adjusted earnings per share to be roughly flat this year after confirming as recently as late December a forecast for growth of 7% to 12%. There is growing pressure to cut prescription drug costs, and payers like insurers and pharmacy benefit managers are trimming their reimbursement. Generic drugs aren't as profitable as they used to be. Stores also are changing what they sell in the retail areas outside their pharmacies to keep customers coming in the door instead of shopping online at sites like Amazon.com. Plus Walgreens Chief Financial Officer James Kehoe said in late February that his company has been "quite damaged" by rival CVS Health Corp.'s acquisition of Aetna, one of the nation's largest insurers. He noted that Aetna transferred significant business to CVS pharmacies. The company's poor quarterly results were somewhat expected, Edward Jones analyst John Boylan said. But the magnitude of its 2019 forecast cut surprised him. "While we are disappointed by these negative developments in the drugstore industry as a whole, we also believe that these developments may accelerate industry consolidation because there are many small competitors that likely are feeling the same pressures," he said in an email. 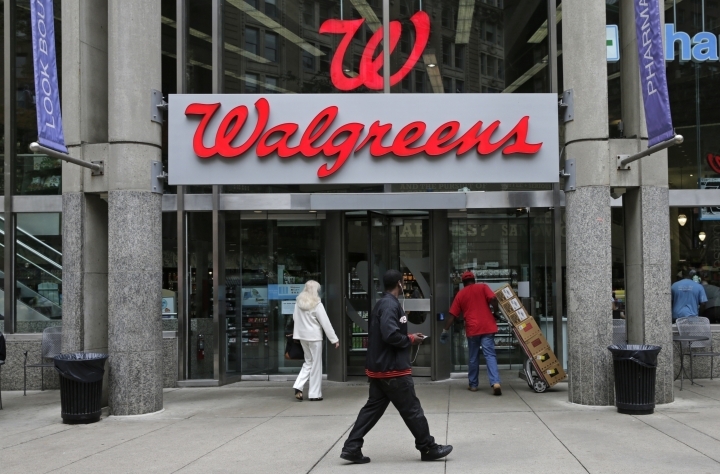 In the second quarter, Walgreens' net income sank 14% to $1.16 billion, while revenue climbed to $34.53 billion, thanks in part to some stores it acquired from Rite Aid Corp.